This product is different from the majority of the other joint products we’ve looked at, and this is primarily due to the fact that it only contains one ingredient, a bio-active form of milk protein extracts. Other joint products typically contain some combination of glucosamine, chondroitin, or fish oil, combined with plant and root extracts that are supposed to have an effect on pain relief, inflammation, and joint health. Microlactin, on the other hand, does not. The product claims to reduce stiffness in the joints, and the result of this action is that customers are supposed to feel less pain in their joints. Not only that, but people are supposed to have more flexibility, which can be compromised when peoples’ joints begin to wear down. While the product maintains that it is specifically intended for people who are suffering from osteoarthritis, or the weakening of the cartilage in the joints (and the resulting inflammation), it’s safe to assume that anyone suffering from joint problems are supposed to be able to benefit from this product. We should mention that the product doesn’t explain exactly how this product is supposed to work, medically – but we gathered from other sources that the product’s action comes from helping the body’s natural immune response to reduce inflammation in the joints. Top Benefits: Contains no preservatives, soy, gluten, or shellfish, and it’s not terribly expensive. Negatives: The only ingredient it contains has little backing for it, and the size and number of pills customers have to take could prove to be overwhelming. Click this link for the Top 10 pain supplements for joints. Address: No mailing address is listed on the company’s website, but they are located in Canada. This product is available from a number of different natural health supplement vendors online (and presumably in-store). Some Canadian sites do not ship to the United States, however, and customers should be aware of that. For powerful relief from pain in the joints, try one of these high-rated supplements. Unlike other supplements that claim to relieve joint pain and restore proper movement, this product doesn’t contain neither herbal extracts, nor fish oil, nor glucosamine nor chondroitin – these are the most common ingredients that we’ve seen. Instead, this product is based entirely on a milk extract for its action. The company claims that since the primary ingredient, despite being from a dairy source, is 90% lactose-free, people who have to avoid dairy due to a lactose intolerance should be able to take it safely. This pill has an unusual dosage. Consumers are expected to take four pills twice a day, for a total of 8 pills every day. This is more than twice the number of pills most supplements expect people to take in order to see the results. Microlactin: This is the extract of milk proteins from cows that have been given immune stimulants before the milk is extracted from them. The result is supposed to be milk that has more “peptides,” amino acids that form the basis of many different biological functions and can be used by the body to assume various shapes and do any number of duties that the body needs done. This one contains more “immunoglobin” peptides, strings of amino acids that can help the immune system work more efficiently. The idea of this product is that people who ingest these peptides will have a stronger immune system, and thus will be giving their bodies the boost they need to fight off the inflammation that comes from osteoarthritis, resulting in more movement and less pain. The problem with this ingredient is that it hasn’t seen that much success in clinical tests. The tests that the product claims “prove” that it works were reports on subjects’ overall amount of pain and mobility before and after taking the ingredient. There was some minor improvement reported over about a month and a half, but nothing earth-shattering, and nothing to suggest that it’s significantly more useful than any other anti-inflammatory in helping with joint pain. One source we saw claimed that it didn’t perform any better than glucosamine in any statistically-meaningful way, which contradicts claims about Microlactin’s superiority to glucosamine. Read here for a list of the Top 10 natural joint relief supplements. Many joint pain supplements contain shellfish like crab, lobster, and shrimp, since this is the primary source for ingredients like glucosamine. The drawback is that people can’t take those supplements if they have a shellfish allergy. Microlactin doesn’t contain shellfish, meaning that people who are unable to try the others might have a better time with this one. In addition there is no gluten, soy, corn, or wheat, meaning people with those allergies should be able to safely take it. There are also no preservatives or artificial ingredients, so people with special sensitivities to those things shouldn’t have a hard time taking this. Check out this list of Top 10 natural joint health products for reduced pain. 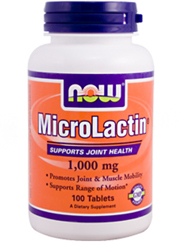 Microlactin depends entirely on the action on one single ingredient, which hampers it in two ways. The first way is that it doesn’t have any other anti-inflammatories that can help support the ingredient’s main action, or extracts that could work as natural pain killers to help people have an easier time while on the pills. The lack of any extra help means that this product leans totally on Microlactin working, which brings us to the second problem: and that’s that this product hasn’t been proven to work. There have been only two trials that we learned of in which people who took this product have reported an improvement, based on the WOMAC score (Western Ontario and McMaster Universities Osteoarthritis Index), the system that serves as a way to evaluate the pain, stiffness, and function of the joints. However, the improvement measured wasn’t enough to show that this was an especially effective product, and more studies are needed before it can be concluded that Microlactin is a powerful ingredient that can effectively suppress inflammation and restore joint function. Another problem we noted is that this product has to be taken at a rate of 8 pills a day, and according to what we learned, they’re quite large. 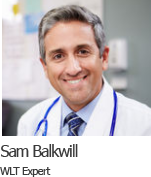 This makes taking this supplement a hassle compared to other products that only have to be taken once or twice a day, at a rate of three or fewer pills. For reduced joint pain, aches, and immobility, these supplements can help. What do customers think about Microlactin? We found only five reviews on the product’s website. Overall, there haven’t been many customers responding about their experiences with this product, which could point to it not being popular enough to warrant reviews. These top-rated supplements can seriously help with joint pain. People looking to try Microlactin will likely be running risks that could be avoided. The active ingredient has very little evidence that it works, and it doesn’t have any other ingredients like painkillers or supplemental anti-inflammatories that could help its main action, which makes it less likely to be more effective than its competition. The customer response hasn’t been overwhelming, either, and the fact that you have to consume 8 large pills every day makes this one of the least-convenient joint pills we’ve seen. We suggest customers look at other products first, and consider those joint health supplements that have more customer reviews, higher ratings, and that contain proven ingredients that can help with inflammation and pain. Out of all the joint health products out there, Flexitrinol is the one we recommend based on the effectiveness of its ingredients, and its stellar customer reviews. 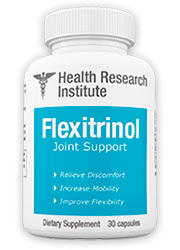 Click here to read more about this fantastic joint pain supplement, and learn what experts and customers have been saying about Flexitrinol.